Which Bankruptcy Option Is Better for You? Chapter 7 or Chapter 13? If you are an individual dealing with a load of personal debt that has become unmanageable and has left you unable to go on, bankruptcy may be the best option for you. But once you decide to pursue debt relief, you have to decide which bankruptcy filing is best suited for your unique situation. For personal debt, there’s Chapter 7 and Chapter 13 and the differences between the two are huge! Are You Eligible for Either Chapter? Some debtors may be eligible for both plans – and some for just one or the other. Chapter 13 is your only option if your monthly income for the six months prior to when you plan to file is above average for a family your size in North Carolina. There’s also a means test that calculates how much disposable income you have to devote to your debt. If it’s above a certain threshold, you cannot file Chapter 7 and Chapter 13 is your only option. Conversely, if your income is below average for a family of your size in North Carolina and you have little disposable income, you may be eligible for the protections that Chapter 7 offers. If you have a car loan or mortgage and are behind on the payments, but want to catch up so you can keep your house or vehicle, Chapter 13 is the only way to do this. Chapter 7 won’t allow you to make up missed payments. If you owe back taxes, student loans or other debts that can‘t be discharged altogether, you can have them rolled up into your Chapter 13 repayment plan to get payments under control and more manageable. If you don’t want to avoid your debt or have it cancelled out, but just need some breathing room to reorganize your finances and get more affordable payments, Chapter 13 can work for you. Your debts don’t go away, but the debt is rolled up and then available income is doled out to a Trustee who then apportions the funds out among your debtors. What Are the Advantages of Chapter 7? In Chapter 7, you may be able to keep your house or car that still have loan payments if you meet a few criteria. If you are current on your car loan payments, you’ll need to notify your lender about the bankruptcy and ask them to execute a new loan agreement with you. Unless you have a really fancy car with lots of equity in it, the court will likely let you keep it and your lender will likely work with you if you’ve stayed current on car payments. In Chapter 7, you can keep your home if your equity in the property is below a certain threshold. If you have $35,000 or less in equity and are filing as an individual in North Carolina, you should be able to keep your home. If you are married and both spouses file Chapter 7 together, $70,000 of equity is the threshold. If you are current on your house payments and have equity below the state limits, you should be able to keep your property – this is great news! In Chapter 7, all of your eligible debt is wiped clean. This includes credit card debt, medical loans, personal loans and any and all debts not secured by an asset. The exceptions are student loans and income tax debts. But if you are drowning in other debts and have collectors calling day and night, Chapter 7 represents immediate relief. In Chapter 7, you may be able to eradicate income tax and student loan debt. With taxes, returns have to be filed a certain period of time before the bankruptcy filing. While tax debts can be wiped out, depending on the circumstances, tax liens will stay in place and must be dealt with. When it comes to student loans, your attorney will have to file an “adversary complaint” – a document requesting relief from the loans owing to undue hardship. Depending on your circumstances and the discretion of the judge, you may be able to get relief on these as well. In Chapter 7, if you have a co-debtor, such as co-signer on a loan or a joint credit card or other account, the bankruptcy filing will end collection efforts of the debt directed at you, but your co-debtor (unless they also file for bankruptcy protection), will still be on the hook. Which Is the Best – Chapter 7 or Chapter 13? If you qualify for either option, you need to evaluate which is the best fit for your financial situation. An experienced and reputable North Carolina bankruptcy attorney will be able to look at your financial situation, income and expenses and advise you on which is likely the best choice for you. Chapter 7 will provide immediate relief by eliminating many of your monthly obligations while Chapter 13 consolidates and may reduce the total amount of payments. If you need more breathing room or think your income may decline or living expenses may increase, Chapter 7 may be better for you. If you are committed to paying off all of your debts and can make do on a tight budget for three to five years while you chip away at your debt, Chapter 13 may be preferable. 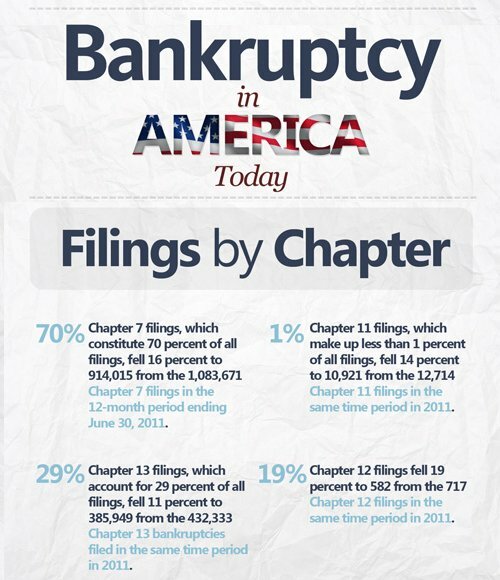 Contact us now to discuss whether a Chapter 7 or Chapter 13 bankruptcy – or other financial option – may be your best choice to get your finances, and your life, back on track.